The Punchcard Economy project will be touring with the Data As Culture exhibition to Lighthouse in Brighton. The show opens on 21st June and runs till 2oth July. 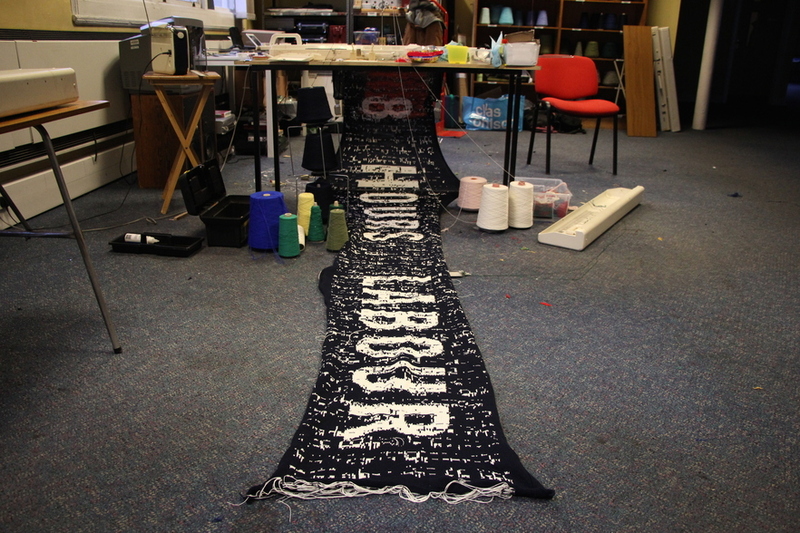 As with the ODI show, the venue is again too small to showacse the full banner, however, an ‘8 Hours Labour‘ sample banner containing the same dataset has been knitted especially for the Brighton venue. I will be running a machine knitting workshop as part of the show, on Saturday 28th June – if you’re based in Brighton and would like to knit your working week and a punchcard pattern repeat, then visit the Lighthouse site to sign up.